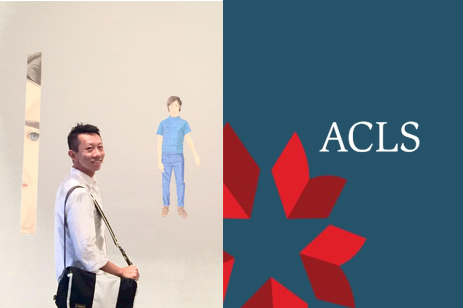 Graduate student Poyao Huang receives the 2019-20 Mellon/ACLS Dissertation Completion Fellowship, administered through the American Council of Learned Societies for work on his doctoral dissertation “Becoming ‘HIV Negative, On PrEP’: The Material Culture of HIV Medicine and Gay Taiwanese Men’s Sexual Health,” which he will defend it in 2020. This study investigates the entanglements of biotechnology and biomedicine, gay men’s sexual practices, and the governance of HIV/AIDS in the case of the implementation of PrEP (pre-exposure prophylaxis for against HIV infection) in Taiwan. Considering the interdisciplinary nature of this project, Huang applies multiple methodologies (e.g., ethnographic, archival, and visual methods) in his research. Poyao Huang’s research brings together the scholarship from science and technology studies (STS), communication and media studies, feminism and queer studies, to consider the ways in which the material specificities of objects—e.g., drugs, blood, virus, and technology—become unfolded during scientific practices. Situating his focus around the topic of LGBTQ’s health, Huang takes up health as both a form of scientific knowledge and the enactment of queer subjectivities to explore how the layered practices of health materially and discursively complicate the ontological stances of queer bodies and sexualities. Poyao Huang was trained in the field of law and journalism in Taiwan as well as health communication in the United States before attending the PhD program in Communication at UCSD. He also worked as a PR consultant in Taipei for three years and was involved in theater and performance during college. He is currently the managing editor of online journal Catalyst: Feminism, Theory, Technoscience (2016-2017). Together, those experiences inform his worldview and the research questions he proposes.